Home>Music> Tupac Shakur's Estate On Nipsey Hussle's Death: "We Will Be Weaker Without Him"
The world lost a good one this weekend. Nipsey Hussle was somebody that did not pose a threat to the community. He worked hard to rebuild his Crenshaw neighborhood and became a hero to many of the young kids growing up in Los Angeles. With one suspect identified in his murder, the hunt is officially on with police chasing high and low for Eric Holder. 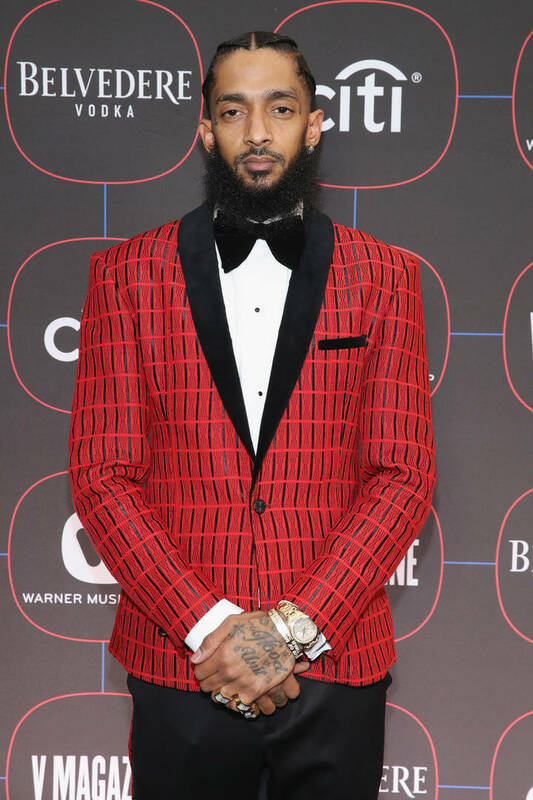 Reactions continue to flow with everyone from Beyonce to Minister Louis Farrakhan offering their well wishes to Hussle's family. Nipsey made such a lasting impression on the music industry and hip-hop as a whole that even Tupac Shakur's estate has issued a statement on his death. Hussle referred to himself as the Tupac of his generation on Victory Lap and now, he's up there spitting bars with the man in heaven. Tupac's estate spoke on the murder of Nipsey Hussle, writing: "We have lost a champion. Until we learn from his life and replace his efforts- we will be weaker without him." Take a look at the thoughtful tribute post below. MUSIC Tupac Shakur's Estate On Nipsey Hussle's Death: "We Will Be Weaker Without Him"